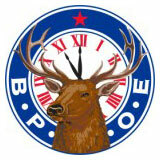 Legacy Awards are $4,000 scholarships for children and grandchildren of Elks members. Applications for the contest are available ONLINE ONLY. Click Here for additional information and to apply.